WHISTLER, BC February 10, 2011 - On February 12, 2011, Whistler's residents will collectively shake their heads with disbelief and breathe, "I can't believe it was a year ago." Evolution, Legends and First Tracks Lodge are at ground zero for re-living Whistler's glory on the first anniversary of the 2010 Olympic Winter Games. "Creekside Village was the most incredible scene and our properties were at the centre of all the action," says Jaime Dunn, Sales and Marketing Director at Lodging Ovations. "With Legends nestled at the base of the Alpine Skiing venue, we were seen around the world while the races were televised." Guests staying at Evolution, Legends or First Tracks Lodge can engineer their own adventures and experience Olympic sport for themselves in new, world-class venues. Or they can recapture the spirit of national pride and celebration by bringing out the red mittens and raising a pint at Dusty's Bar & BBQ. No Whistler-themed Facebook album is complete without a photo in front of those five interlocking rings. Visit the impressive symbol of the Games at Celebration Plaza in Whistler Village. There is another set of the green rings to be found by ski or board on the Dave Murray Downhill run, visible from the base of Whistler's Creekside Village. Whistler's celebratory vibe was never more ubiquitous than during the Games; the party went on from day to night. Celebrate it right with a cheese fondue (a nod to the very popular Swiss House) and jugs of frosty beer clutched in fist topped off by plenty of dancing into the wee hours. Extra points if you bring along a massive cowbell! This impressive legacy features permanent ski jumps, a biathlon course, snowshoe trails and over 90 km of cross-country trails groomed for Classic and Skate skiers. Located in the majestic Callaghan Valley, this venue provides a pristine setting for all levels of Nordic sports. Have a gold medal moment and ski or snowboard the Alpine venue race courses. The Dave Murray Downhill and Franz's runs played host to the world's fasted Alpine skiers and are now begging to be schussed with speed. The recommended ability for skiers or snowboarders is intermediate to advanced. That person speeding past just may be a gold medal-winning Whistler local! For the ultimate Olympic rush, the Public Sliding Sport Experience Program was launched this winter. Take the opportunity to fly down the track with the Skeleton or Bobsleigh Experience. For those more apt to observe, there is an interpretive centre to explore. It's been a year since Whistler welcomed the world for the Games but Evolution, Legends and First Tracks Lodge are ready to welcome wannabe Olympians keen to rekindle the flame anytime. Three night, two-day packages at Lodging Ovations start at $204 per person, per night. Lodging Ovations' trio of upscale resort hotels, First Tracks Lodge, Evolution and Legends, are perfectly priced for an exciting winter experience. Some restrictions may apply. 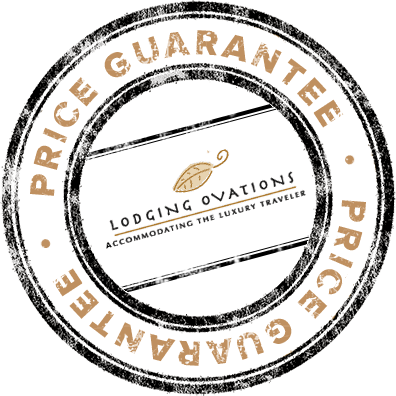 Visit www.lodgingovations.com for more information.